Beverley has a print copy of Her Gilded Prison to giveaway during the tour. Please use the Rafflecopter below to enter. Remember you may enter every day for your chance to win a print copy of Her Gilded Prison. You may find the tour locations here. Beverley is giving away a $10 Amazon Gift Certificate to on lucky winner. Please use the Rafflecopter below to enter. Remember you may increase your chances of winning by visiting the other stops on the tour. You may find those locations here. A seven-year secret. A tragic misunderstanding. Can love outwit fate in this twisted tale of misadventure and thwarted dreams? Earl Quamby’s niece, Katherine, and Jack, a foundling home lad adopted by a local family, have been loyal friends for as long as they can remember. 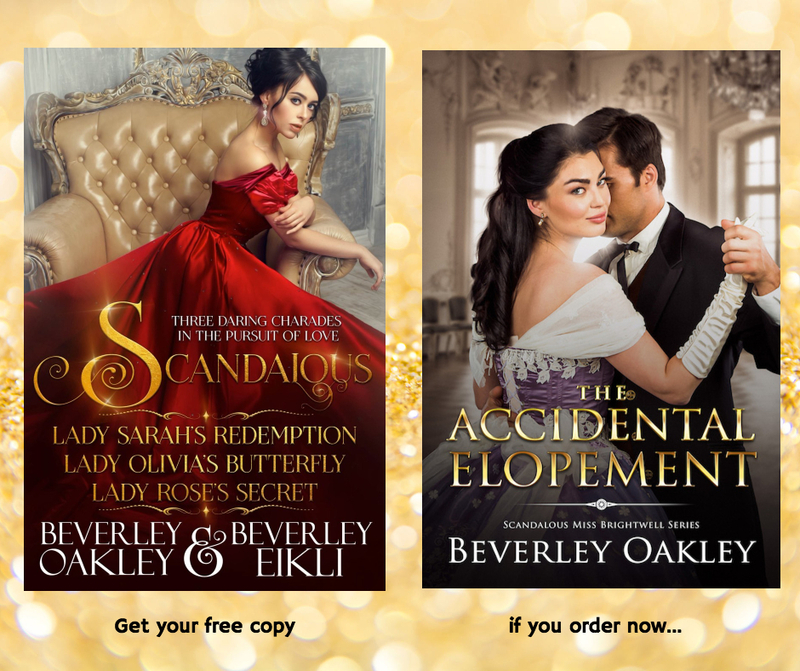 As Jack is about to leave England to make his fortune and Katherine is being courted by two eligible suitors, they unexpectedly realise their friendship has blossomed into passionate love. A love, they are warned, that has no future. Despite a brave attempt to defy the forces keeping them apart, tragedy results and the pair is separated. 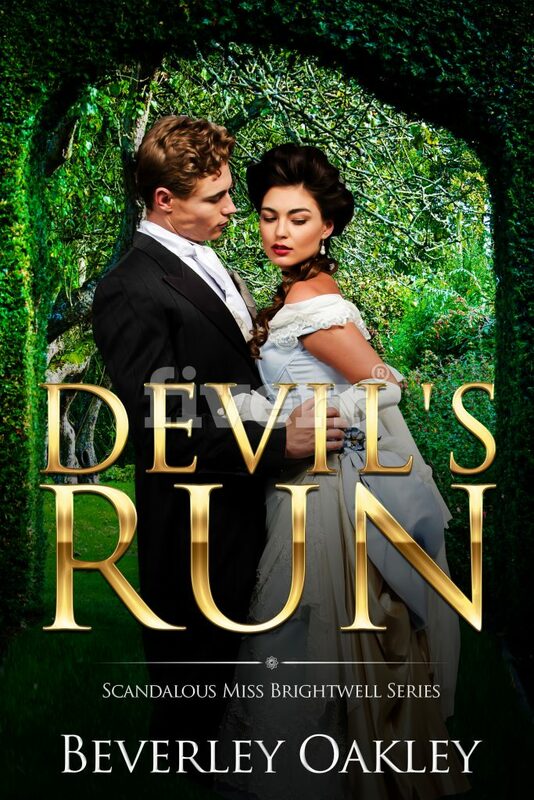 When chance throws them together seven years later, Katherine, newly widowed, is being pressured into a marriage not of her choosing to avoid scandal and Jack feels he must honour his pledge to the worthy Odette whom he met in India and whose father is dying. Katherine knows that revealing a long-held secret may win Jack to her but she also knows conflicting obligations from past and present may tear him apart. Can master matchmakers, Fanny, Antoinette and Bertram Brightwell, outwit fate in its latest attempt to keep these star-crossed lovers apart and deliver them the happiness they deserve? 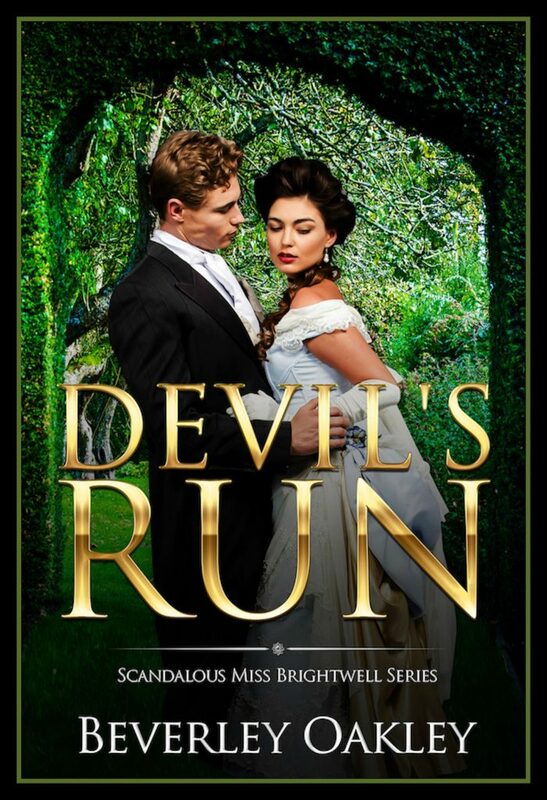 This is Book 4 in the Scandalous Miss Brightwell series but it can be read as a stand-alone. 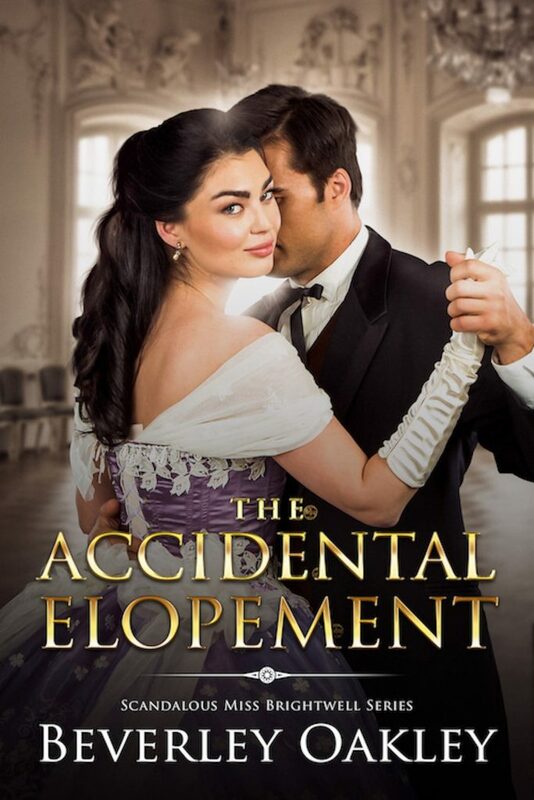 Order The Accidental Elopement now for the special price of $2.99 and you’ll get an ecopy of Scandalous: Three Daring Charades in the Pursuit of Love. Just send a screen shot of proof of purchase to beverley (at) eikli.com and she’ll send you the link for your free book. 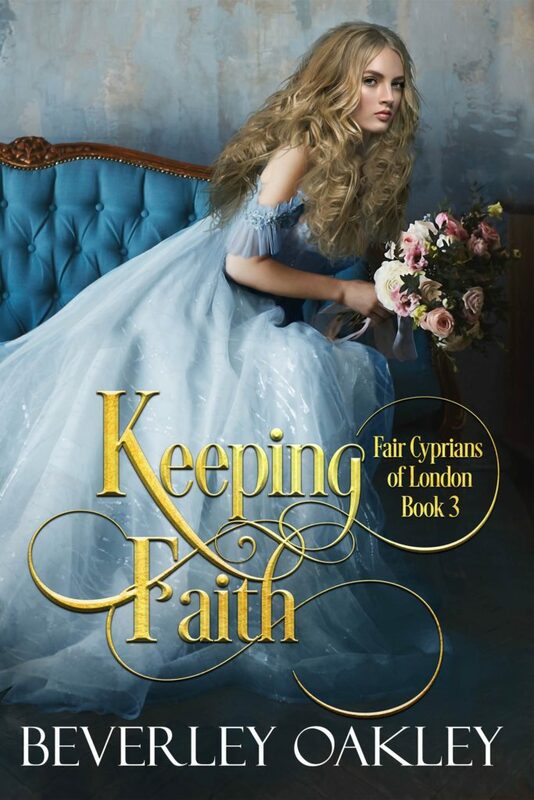 In this excerpt, Katherine is hiding in a dark corridor to avoid dancing with someone she has no wish to see during her first ball as a newly arrived London debutante. She then receives a rude shock! No one had thought to light a candle sconce and this second corridor turning she’d taken was as black as a dungeon. Katherine couldn’t even see her hand but she wasn’t frightened of the dark. No, Katherine was not fainthearted. Yet she did squeal when, taking another step, her progress was impeded by a very large object and, with no warning at all, she found herself flying through the air, landing with a painful jarring of her wrists upon the cold, hard flagstones. “Good Lord!” came a disembodied young male voice in the dark before a groping hand located a piece of Katherine – namely a hank of hair – which caused her to shriek even louder when it was quite unnecessarily tugged. Whether this was to establish who or what she was, she had no idea – and perhaps neither did the tugger for immediately a profound apology was issued before the groping hand was operating with complete abandon in the dark. Katherine had made one unsuccessful attempt to stand but it was a struggle in her flounced skirt and multiple corded petticoats. She swatted away the supposedly helping hand and hissed something unintelligible – somehow unladylike language seemed less of an offence when she couldn’t see to whom she was speaking. But when the disembodied groping hand entered her orbit once more – in fact, brushing the bare flash above her garter and getting in a good squeeze of her thigh flesh, her temper which had never been one of her strong points, snapped and she lashed out with a sharp slice through the inky air. “Poor George! I was just starting to feel sorry for him until you described the exact George I, too, am so at pains to avoid tonight.” The voice became more confidential and the mood relaxed. Katherine crossed her arms and waited for him to speak again for she was rather interested in his George and then quite amused when the voice began to describe the very George against whom she railed. “Then we’re talking about the same George!” The voice sounded stunned. A quick gasp from both of them was followed up by a delighted cry in unison. 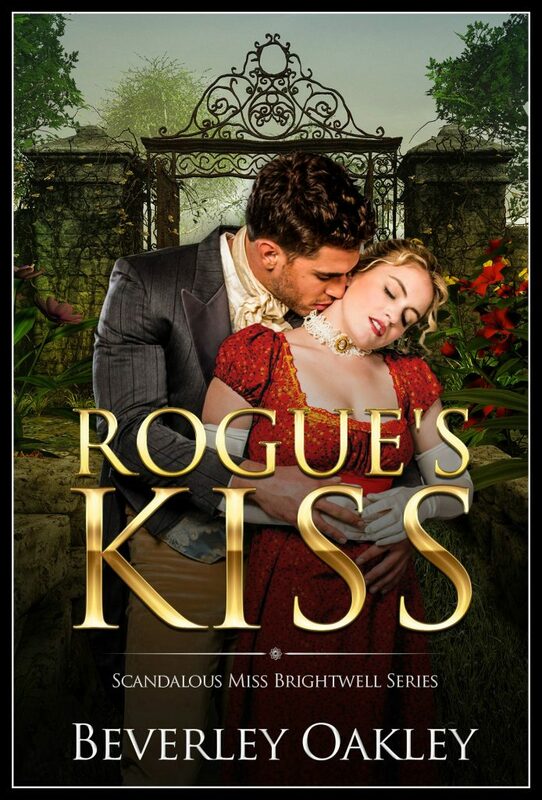 Beautiful, impoverished Fanny Brightwell has a few scores to settle—and a heart to win—before she can secure the wealthy, aristocratic husband her ambitious mama demands. Pick up a free copy here! Would a potential suitor be bolder if he were told the lie that the maiden he desires has only six months to live? A rigged horse race – with a marriage and a lost child riding on the outcome. Beverley Oakley was seventeen when she bundled up her first her 500+ page romance and sent it to a publisher. Unfortunately drowning her heroine on the last page was apparently not in line with the expectations of romance readers so Beverley became a journalist. Twenty-six years later Beverley was delighted to receive her first publishing contract from Robert Hale (UK) for a romance in which she ensured her heroine was saved from drowning in the icy North Sea. 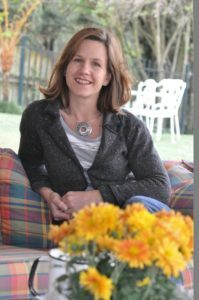 Since 2009 Beverley has written more than thirteen historical romances, mostly set in England during the early nineteenth century. Mystery, intrigue and adventure spill from their pages and if she can pull off a thrilling race to save someone’s honour – or a worthy damsel from the noose – it’s time to celebrate with a good single malt Scotch. Beverley lives with her husband, two daughters and a Rhodesian Ridgeback puppy the size of a pony opposite a picturesque nineteenth-century lunatic asylum. She also writes Africa-set adventure-filled romances tarring handsome bush pilot heroes, and historical romances with less steam and more sexual tension, as Beverley Eikli. Beverley is giving away a $10 Amazon Gift Certificate to a randomly drawn winner via rafflecopter during the tour. Please use the RaffleCopter below to enter. Remember you may increase your chances of winning by visiting the other tour stops. You may find those locations here. 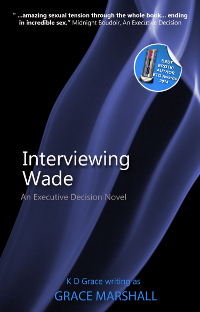 Two years ago, she missed their secret assignation and disappeared without a trace. Now the divine “Miss Hope” is in Felix Durham’s bed – a ‘surprise cheering-up gift’ sourced by his friends from London’s most exclusive brothel. Felix is in heaven – and he wants to stay there. So does Hope, but she can’t. Hope Merriweather lives by a code of honour – even if she’s a prostitute. Having sold her soul, she’s prepared to sacrifice everything else to protect what she believes in. 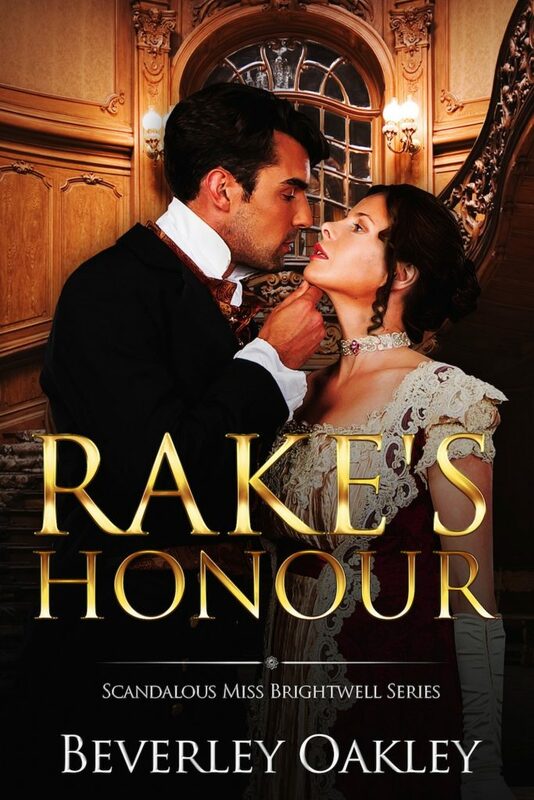 Even if honour – in her eyes – comes at the cost of thieving and breaking hearts. Including her own. 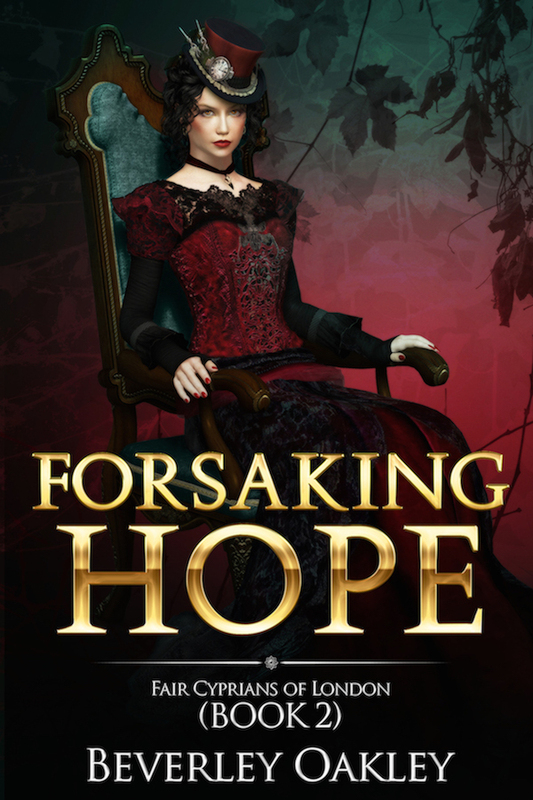 If there was a name to tip Hope into the abyss of despair she was hearing it spill from Madame Chambon’s lips now as the older woman directed Hope to take a seat in the reception room, presumably so Madame could loom oppressively over her. With her hands on her ample, expensively padded hips, Hope’s benefactress—procuress, employer and gaoler were other monikers—sent Hope a beetling look that needed no interpreting: Regardless of Hope’s true feelings, Hope must project the required show of warmth and delight at being the chosen one. Madame patted the side of her faux curls. Years of hot irons had reduced her hair to the texture of wool but her crowning glory these days was supplemented by the lustrous locks of those girls who dared cross her – before they were thrown back into the street from where most had come. Outside, the noise of the traffic rumbling over the cobbles and the shrill calls of competing vendors settled upon the tense silence. Madame Chambon’s other girls, ranged around the sumptuously appointed room on red velvet upholstered banquettes, watched the exchange with prurient fascination. Hope knew it had been a calculated ploy of Madame’s to conduct her interview in public so that Hope would serve as an example to them. No one crossed Madame Chambon. The shrill cry of a fishmonger caused Madame to look pointedly out of the window. With something between a smile and a sneer, she smoothed a Marcel wave. “Is that where you plan to return, Hope? The gutter?” Her nose twitched and in the sunlight that filtered into the room, the grooves chiselled between mouth and chin were thrown into harsh relief, highlighted rather than hidden by the thick powder she used to conceal her age. Madame Chambon’s comfort, now and into retirement, depended on obedient girls. Hope knew that as well as anyone. She’d had to bury her rebellious streak just to ensure food in her belly. The Frenchwoman raised a chiselled brow and began to pace slowly in front of her girls. A painter with an eye for beauty would have been ecstatic at capturing such a spectacle on canvas. The discerning young man about town who visited 56 Albemarle Street was frequently rendered ecstatic by the range of delights Madame Chambon’s girls offered in addition to the visual. “You forget yourself, Hope. I put a roof over your head and deck you out as handsomely as Mr Charles Worth ever did for his most discerning customer.” There was acid in Madame Chambon’s tone. “But for me, you’d be starving and glad of the pennies you could trade for a grubby stand-up encounter in a dark alley.” Madame Chambon thrust out her bosom and breathed through her nose, her response a calculated warning to the other girls arranged in various languid poses about the ornately decorated reception room that intransigence would not be tolerated. Faith, one of the kinder girls, patted Hope’s arm in silent solidarity. Hope didn’t expect any of them to speak up in her defence. Not when they all relied on Madame Chambon as much as she did to provide them with the necessities of life. Anything more than that was part of a strict contract that indentured a girl for life unless she was able to secure a generous benefactor to settle Madame’s severance bill. The fine clothes were part of the charade, necessary to entice a more elite clientele. Hope’s exquisite wardrobe did not belong to her though she’d have forsaken all the dupion silk and Spitalfields lace for the freedom of the gutter and to be mistress of her own destiny – and her body – if she could only be sure of a plate of gravy and potatoes every second day. Closing her eyes, she hung her head, the carefully coiffed curls that fell forwards brushing against her tear-streaked cheeks. It was as well that they not be in evidence. Tears, weakness, vulnerability were like a red rag to a bull where Madame Chambon was concerned. “How long…do I have to prepare myself?” She was not so stupid she couldn’t admit defeat when there was no alternative. Obduracy was beaten out of one, but tears ensured a girl got the very worst next assignment. Their clients weren’t all marquesses and princes, though they did require a very fat pocket book. “Tomorrow.” Hope repeated it in a leaden tone, and stared at her hands, clasped in her lap; white-knuckled. As white as the rabbit-fur that edged her fashionable black-and-white striped satin cuirass. Hope had the tall, slim figure suited to the scandalously tight tie-back skirts that were all the rage, the back flowing into a train adorned with elaborate swags and trimmed with bows. She’d turned heads the length of Oxford Street as she’d promenaded along the pavement following a walk through Hyde Park earlier that afternoon. In fact, for the first time in two years, she’d almost felt happy as she’d pretended a sense of freedom in the afternoon sun, blocking her mind to the prison to which she was returning. Hope hid her shock. “I have no family.” With care, she modified her tone so it was as leaden as before though emotion roiled close to the surface. Hope raised her chin. Here was the chink and Madame knew it. The woman did her research. Aware that the other girls who surrounded her were tense with anticipation, Hope struggled not to respond. Camaraderie existed at surface level but one never knew when it might profit one to have the dirt on a fellow prostitute. It was, clearly, another reason Madame Chambon had chosen to make this conversation public. Beverley lives with her husband, two daughters and a Rhodesian Ridgeback puppy the size of a pony opposite a picturesque nineteenth century lunatic asylum. She also writes Africa-set adventure-filled romances tarring handsome bush pilot heroes, and historical romances with less steam and more sexual tension, as Beverley Eikli. A rigged horserace and a marriage offer riding on the outcome. When Miss Eliza Montrose unexpectedly becomes legal owner of the horse tipped to win the East Anglia Cup, her future is finally in her hands – but at what cost? George Bramley, nephew to the Earl of Quamby, will wager anything. Even his future bride. 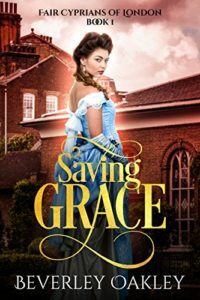 Miss Eliza Montrose will accept any wager to be reunited with the child she was forced to relinquish after an indiscretion — even if it means marrying a man she does not love. 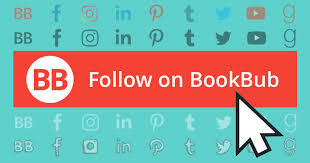 But with her heart suddenly engaged by handsome, charming Rufus Patmore who has just bought a horse from her betrothed George Bramley in whose household her son lives as a pauper child, the outcome of the wager is suddenly fraught with peril. **This is book 3 in the Scandalous Miss Brightwells series, though it can be read as a stand-alone. it an effort to keep the syrup in his tone. His bride-to-be had not even looked at him as she’d declined the piece of marchpane he’d been certain would win him at least a smile. Hovering at her side, he weighed up the advantages of a gentle rebuke, then decided against it. Until yesterday, he’d thought her quiet demeanour suggested a charmingly pliant nature. Now he was not so sure. In fact, suddenly, he was not sure of anything. “I would prefer to be left alone.” Miss Montrose waved a languid hand in his general direction, while she continued to gaze at the still lake beside which their picnic party had situated itself. The languid arm-wave had not even been accompanied by a demure thank you as subtle acknowledgement of her gratitude that not only had Mr Bramley, heir to a viscountcy, stepped in to rescue Miss Eliza Montrose from impoverishment, he was prepared to treat her publicly as if she were as fine a catch as he could have made. A soft titter brought his head round sharply, but the ladies behind him, bent over the latest Ackerman’s Repository, appeared occupied with their own gossip as they lounged on cushions beneath the canopy that had been erected to protect them from the sun. Awkwardly, he looked for occupation as he continued to eye his intended with a mixture of irritation and desire—both lustful desire, and the desire to put her in her place. The idea of the latter made him harden. She was beautiful, this quiet, apparently retiring, young woman who said so little, but whose eyes spoke such volumes. The afternoon sun glinted on her honey-gold hair and imbued her porcelain skin with a warm glow. The skin that he could see, at any rate. He pushed back his shoulders. On their wedding night in six weeks, when he’d at last take possession of her, he’d rip that modesty to shreds. The skin she was so at pains to hide would be his, not only to see, but to caress and taste. When she was his wife, the beautiful, distant Miss Eliza Montrose would no longer get away with paying George Bramley so little attention. No, he’d have her screaming and writhing at his command. He would make her like the things he did to her; or at least, show him she did if she enjoyed harmony as much as she appeared to. None of this languid reclining like a half-drugged princess in his presence. He’d keep her on her toes, ready to leap to his bidding at the sound of his footstep. She’d learn to be grateful. The fact that Miss Montrose didn’t deign to even speak for herself, much less glance in his direction, sent the blood surging to Bramley’s brain. By God, when he was married to Eliza Montrose, the limpid look of love so lacking now would be pasted onto her face every time he crossed her line of vision. She’d soon learn what was good for her. He inclined his head, hiding his fury, and was on the point of leaving when Lady Quamby’s sister, Fanny —for he’d be damned if he’d accord the little strumpet the title of Lady Fenton—leapt up from her chair. She’d been poring over the latest fashions, but now she smiled brightly up at him. Bramley stared down her liveliness. In fact, he was about to give up the idea of going up to the battlements altogether when his other guest, Rufus Patmore, suddenly rose and joined Fanny’s side with a late and unexpected show of enthusiasm. George flashed them both a dispassionate look. He’d chosen to invite his betrothed, Miss Montrose—whose chaperone was currently tucked up in the green bed chamber nursing a head cold—to be his guest at his uncle’s estate, Quamby House, after receiving intelligence that Ladies Quamby and Fenton would be safely in London with their husbands and children. Instead, the brazen Brightwell sisters—as they’d infamously been called when he’d first made their acquaintance—had altered their plans, and were now in dogged attendance, reminding him as they always had, of some awful tenacious climbing plant, determined to find a foothold wherever they could in order to rise in the world. Rufus, a last-minute addition and acquaintance from his club, Boodles, was here because he’d just purchased a horse from Bramley the night before. Now, Rufus was gazing at Lady Fenton, with the same dewy-eyed fondness George was used to seeing reflected in the eye of his uncle, the Earl of Quamby, who called the Brightwell sisters his precious rose-buds. To George, they were common dandelions! And now they had overridden Quamby House, the rambling Queen Anne manor house and estate that would have passed to George the moment his uncle quit this mortal coil, were it not for the snotty-nosed infant Lady Quamby had borne far too early in her marriage to George’s uncle. George shook his head. He’d changed his mind. Only, there was Rufus striding across the lawn, skirting the lake with Fanny at his side, and George didn’t want to be seen as petulant for having offered the suggestion in the first place. Or have his snubbed and ignored status so much on parade, since the two remaining ladies—Miss Montrose and Lady Quamby—had their heads bent together in deep discussion, with no apparent interest in seeking his company. By God, he thought, clenching his fists as he set off after them at a brisk trot, they’d all rue the day they showed George Bramley so little respect. Beverley Oakley was seventeen when she bundled up her first her 500+ page romance and sent it to a publisher. Unfortunately drowning her heroine on the last page was apparently not in line with the expectations of romance readers so Beverley became a journalist.